We’ve all come across those ginormous 10-hour video loops on YouTube for one reason or the other – perhaps to keep that song you like playing in repeat. You might’ve even used an extension to loop the videos yourself. Well, you finally won’t need any extra software to repeat videos yourself. 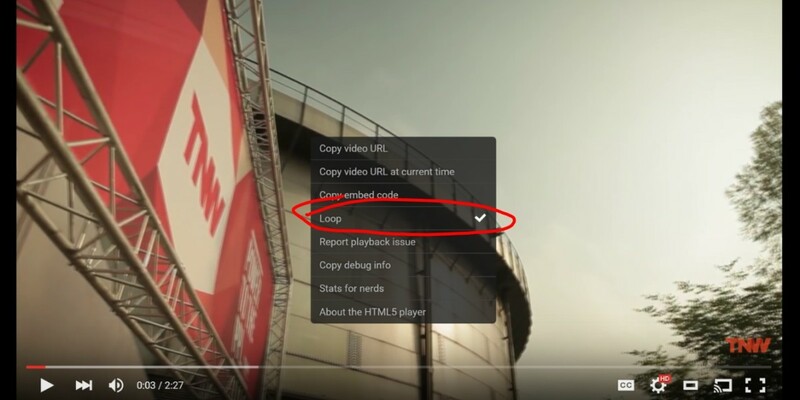 If you’re on a desktop browser, you can just right-click on a video and select the new loop option. Now you can loop @YouTube video directly without install any extension. Once selected, the video will replay immediately after finishing. Simple enough, right? There’s no way to do this on the mobile YouTube apps yet, but hopefully Google will add an equivalent option soon enough.